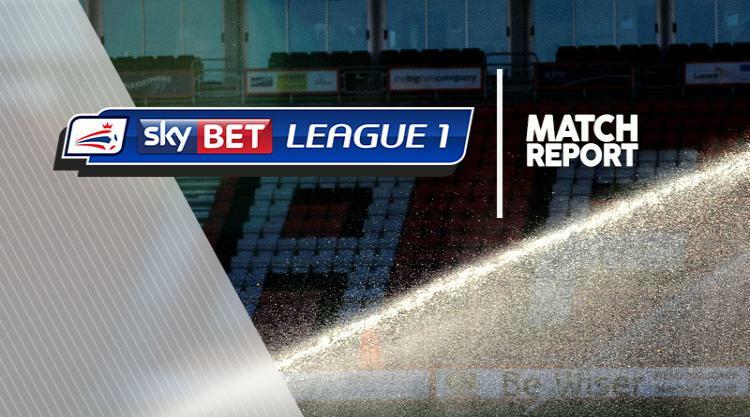 Matty Taylor's second-half hat-trick provided more home sickness for wasteful MK Dons in a 3-3 draw with Bristol Rovers. Now without a win in 12 league matches on home soil - a run that dates back to March - the Dons twice held a two-goal lead before Taylor rescued an unlikely point for Rovers. Dean Bowditch opened the scoring after 16 minutes from close range when goalkeeper Kelle Roos spilt a 20-yard strike from Ben Reeves. Lively winger Ryan Colclough thundered a shot against the crossbar before defender George B Williams nodded his first Dons goal via a post in the 24th minute. Bowditch headed inches wide on the half hour as the hosts weaved delightful patterns. Taylor threw Rovers a lifeline just 66 seconds after the break with a superb right-foot strike from 20 yards. Dons' nerves eased again when Reeves cut inside in the 66th minute to restore the two-goal gap. Rovers' more physical second-half approach had Dons boss Karl Robinson hopping mad on the touchline and his back line cracked as Taylor pounced twice from close range in the 87th and 89th minutes.